Sign up for a Kolad rafting and camping trip with your gang of friends and enjoy these epic monsoon adventures! You'll be staying on a huge campsite surrounded by greenery, in a huge Swiss tent. 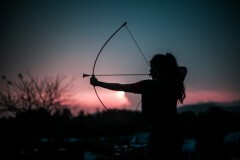 You can choose ANY 2 of these three activities: body zorbing, ATV, or archery. The next morning, you'll go for a thrilling rafting ride, tackling 12 kms of churning rapids on the Kundalika river. IMPORTANT: This package is priced for groups of 8-10 travellers. To book this for groups of less than 8 travellers, please call us for revised pricing. A minimum of 4 travellers are required to book this Kolad rafting adventure. Kolad is a small fishing village about 2-hours drive from Mumbai and Pune. It lies along the banks of the Kundalika river, in the midst of lush greenery. During the monsoon, it turns into a lush green paradise, with cloudy skies and chirping birds. In winter, the chilly temperatures make it a fun place for a weekend getaway. 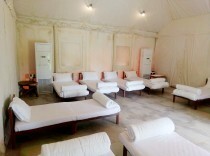 You'll be staying in a large air-conditioned Swiss tent with basic furniture, and single cots with all bedding. Each tent has a private sit-out, as well as an attached washroom with a Western toilet and a hot water boiler. The campsite has a common dining area and plenty of garden space to enjoy. 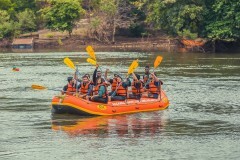 • Book a Kundalika rafting trip in Kolad. 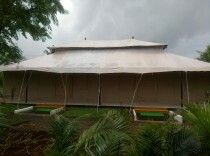 • Camp in Swiss tents in Kolad. • Enjoy a bonfire night under starry skies. • Try your hand at ATV rides, zorbing, or archery. • Dig in to delicious Maharashtrian meals. Children younger than 14 years of age are strictly not allowed to participate in rafting. 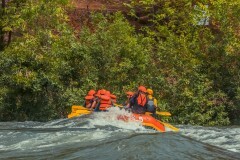 Rafting at Kolad is a water-dependant activity. 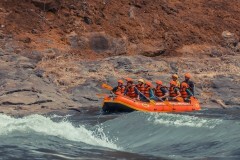 The waterflow is controlled by the nearby Bhira dam, so rafting timings are fixed. Please make sure you're on time or you'll miss the rafting departure. Travellers are required follow instructions of the rafting instructor while rafting in Kolad. 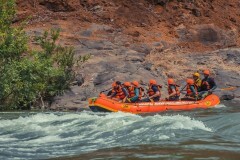 For cancellations made 15 days or more before the check-in for this Kolad rafting adventure: 75% refund. 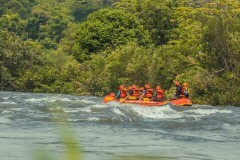 For cancellations made 10-14 days before the check-in for this Kolad rafting adventure: 50% refund. 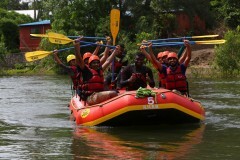 For cancellations made less than 9 days before the check-in for this Kolad rafting adventure: no refund. The tour operator reserves the right to alter or cancel the itinerary of rafting in Kolad due to unforeseen circumstances such as bad weather or insufficient waterflow to ensure maximum safety for travellers as well as staff. The tour operator is not responsible for your personal belongings while rafting at Kolad. 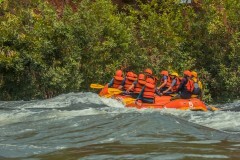 Consumption of alcohol or drugs is strictly prohibited during the Kolad rafting activity. You will not be allowed to take part in the Kolad rafting activity if you appear intoxicated or unwell. There will be no refunds in this case. Kids younger than 5 years of age stay for free. Kids between the ages of 6-12 years will be charged INR 1,350 for stay with meals, but will not be allowed to do rafting at Kolad. 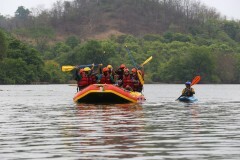 Day 1 of rafting at Kolad: Check-in and enjoy! You can check in any time after 15:00 hrs. Enjoy a cup of tea and some snacks, and then choose ANY two of the three activities on camp: an ATV ride, body zorbing, or archery. When it grows dark, you'll enjoy a bonfire and some relaxed time with friends. Dig into a hot dinner at night, and then retire to your Swiss tents to sleep. Overnight in Swiss tents at Kolad campsite. 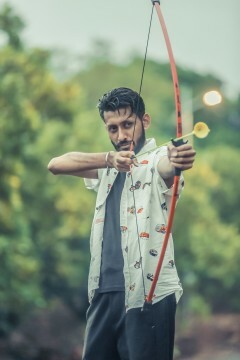 Go on an ATV ride or try your hand at archery. You'll wake up early and eat breakfast. 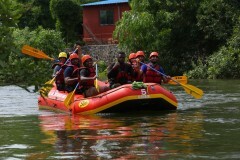 After that, it's time to head to the rafting start point and gear up for your adventure on the Kundalika. You'll spend two hours on the river, battling the rapids and enjoying the views and the splashes. Return for a hearty lunch and change into dry clothes. It's time to check out by 13:00 hrs. Your trip ends here. 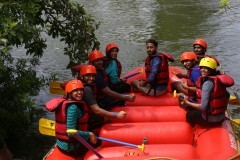 Go for a thrilling session of rafting on the Kundalika River! Personal expenses like additional meals and beverages etc. You can check in by 15:00 hrs. You'll be served tea and snacks, and can settle into your tent and head for your activities. Your tent has a tower AC, and single cots for less than 8 people. All bedding will be provided. The tent has an attached washroom with Western toilet and a boiler for hot water. You will be served a hot dinner at night: a tasty vegetarian meal with one non-veg option and dessert. In the morning, you'll eat breakfast and head to the rafting start point to begin your Kundalika rafting adventure. 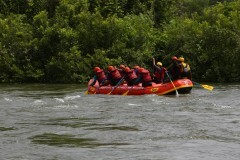 You'll enjoy two hours of rafting fun, and then return to camp to change, and to eat a big lunch. By 13:00 hrs, it's time to check out. Your Kolad rafting trip ends here. 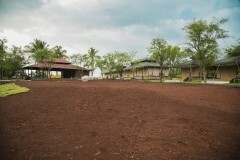 The campsite is accessible via road from Mumbai and Pune.